The FI-Amp4 is a state of the art 4 channel Class D amplifier providing 1,500 Watts per channel at 4Ω. 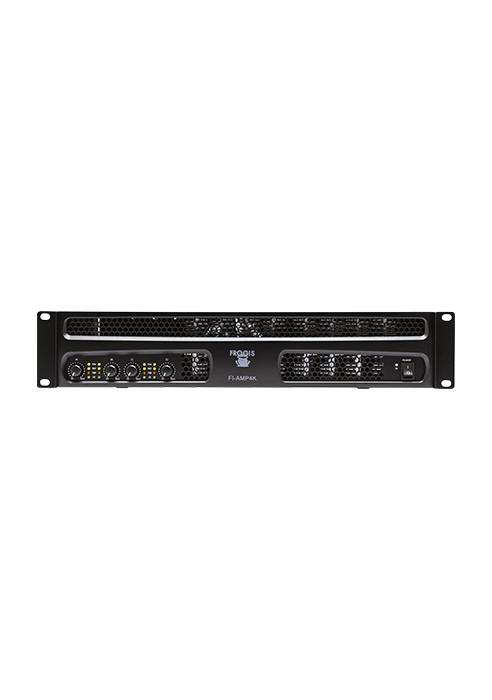 It provides 4 x front panel access volume control allowing zone level adjustments directly from the Amplifier. Packing 6 Kw in 2u, the “high power” class D FI-Amp4K is designed for use in performance venues ranging from large scale bars, clubs, concert halls and touring systems. 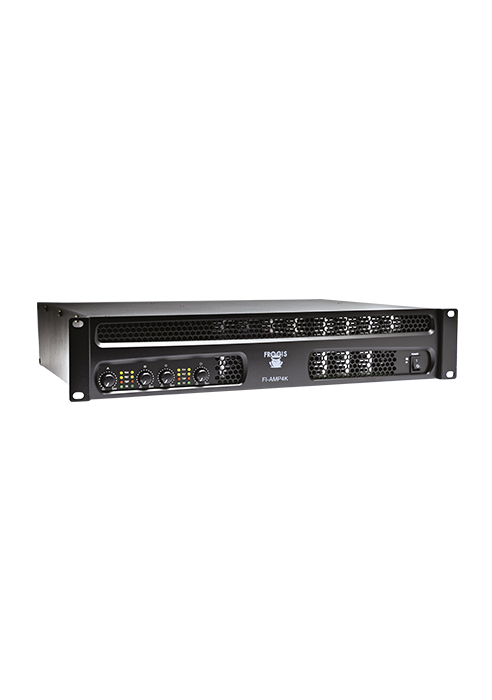 As a result, the amplifier is much smaller in size and lighter, saving precious rack space in an installation. Lower heat dissipation also reduces stress put on each component part in the amplifier and will prolong product life of the amplifier. Large bars, clubs, concert venues, auditoriums, rental etc.